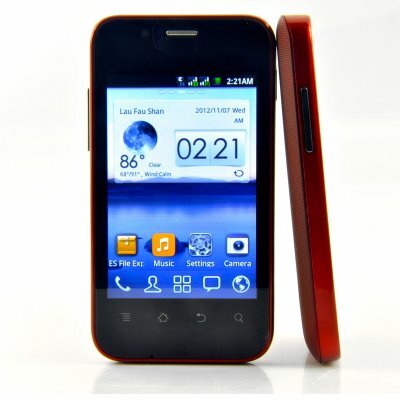 Successfully Added Android 3.5 Inch Phone "Dex" - 1GHz CPU, Dual SIM, Red to your Shopping Cart. Boasting a powerful 1GHz CPU and a bright 3.5 Inch screen, the “Dex” is both lightning fast and fun to use. Designed with functionality in mind, this stylish red phone will easily slip into your pocket or handbag. The Dual SIM feature allows you to keep work and private life separate by quickly switching between two SIM cards. This way you only need one phone to do the work of two! The “Dex” Android Phone is a compact media and communication hub which allows you to watch your favorite blockbusters, listen to hours of music and lets you browse the web at full speed. Download and install any of the more than 600.000 apps available in the Google Play store directly on your phone or expand the flash memory with a Micro SD card up to 32GB. Snap a quick picture with the built in 2MP camera or watch a relaxing movie, all with this compact phone. 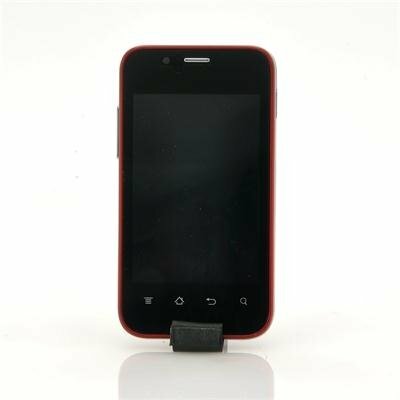 Available in our warehouse now, this 3.5 inch Android phone is ready for immediate shipment to you or your customer. This 3.5 Inch Android Phone is covered with out 12 months warranty and is brought to you by Chinavasion, the leader in Android phones and other wholesale consumer electronics.